A trained installation team will be needed to carry out your installation to ensure the heater units are positioned to achieve optimal heating. No complex plumbing or wiring is required; they just fix to a wall and plug it into a wall socket. To completely remove your existing heating system and replace it with the Clear Heating System will take a day in your average home. It can be longer depending on your requirements and your house size. Watch the video guide showing how to install a Clear Heater unit, including what tools are required. Plug in your control panel to a standard wall socket. Each heater unit has a unique identification number on the underside of the base. Enter the heater ID number via the control panel to add it to your system. Communication between the control panel and heater units works via your existing electric wiring. The control panel is pre-programmed to work out of the box and provide a comfortable temperature across all connected heater units. You can change the settings at any time with your own preferences. 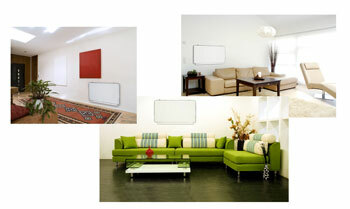 Follow the simple instructions below to customise your Clear Heater System. 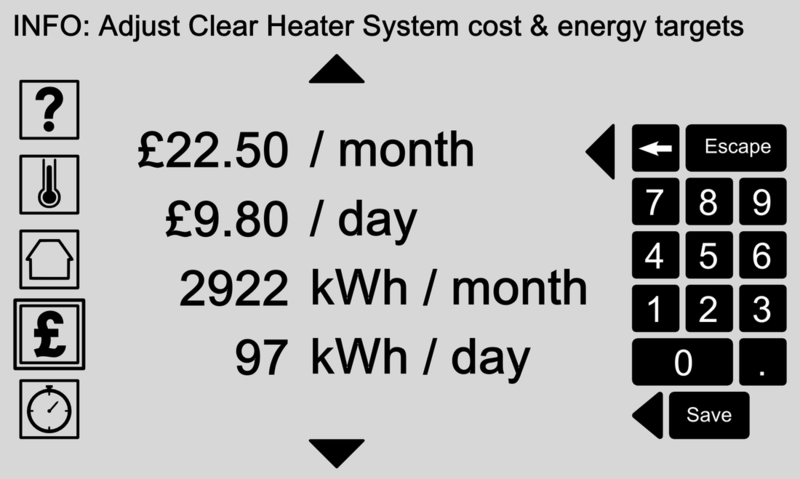 Each heater unit can have its own settings and work independently on the system. Give each heater unit a unique name and temperature. A zone is a group of heater units working with the same settings. This makes it easy to adjust the temperature for multiple rooms together. For example, you could choose to heat all bedrooms to the same temperature, making it simple to adjust multiple rooms in one setting. Heater units can be linked to operate together as one unit. 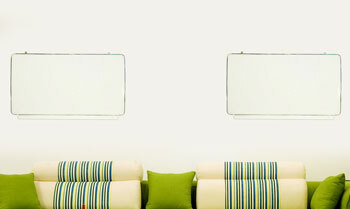 This can be useful when you have a large room that has a higher heating requirement. 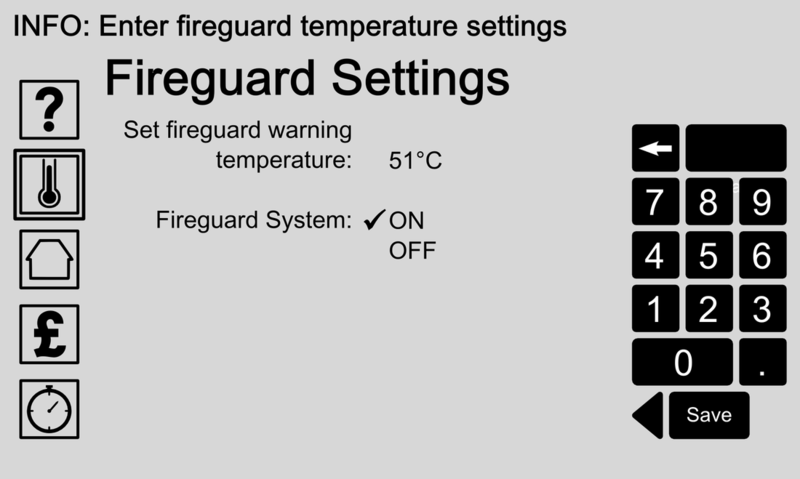 Fireguard is a safety feature of the Clear Heater system and is intended to work in addition to standard smoke and fire alarms and not as the only fire warning device. 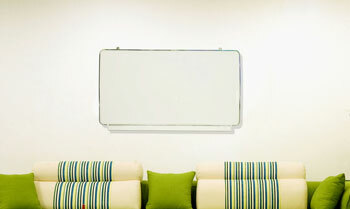 If a Clear Heater unit detects a temperature in your room higher than expected, the control panel will signal a warning. If your control panel is connected to the internet it will call your mobile to warn you of a possible fire. You can set the preferred warning temperature to any value above 50°C (122 °F). You can set your own budget and energy targets to help keep track of costs and energy usage. For example, decide how much you want to spend per day or month and your Clear Heater System will regulate the temperature to meet your budget. If you prefer, you can set energy-use targets to keep track of and control of your carbon footprint. The control panel is equipped with Wifi capability to receive software updates via the internet, this will allow your system to operate on the latest version. 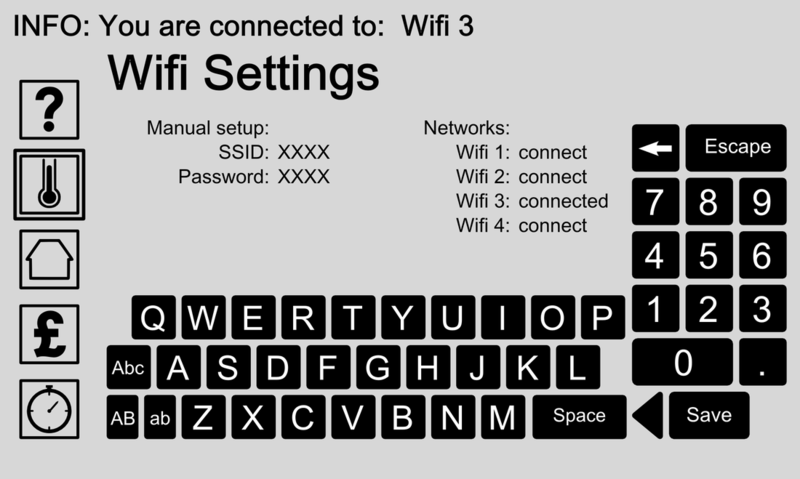 Also by having your Control Panel connected to Wifi it will allow your data to be sent to our head office so we can monitor your system and get in touch with you regarding discrepancies.